Allan A. Glatthorn (1924–2007) was a major contributor to the third and fourth editions; his research used in the preparation of the first and second editions of Writing the Winning Thesis or Dissertation: A Step-by-Step Guide was the foundation for the third edition. He was the Distinguished Research Professor of Education (Emeritus) in the College of Education of East Carolina University, where he advised doctoral students, chaired dissertations, and taught courses in supervision and curriculum. 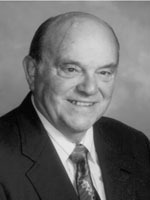 He was formerly Professor of Education at the Graduate School of Education of the University of Pennsylvania. Prior to his university assignments, he was a high school teacher and principal. In his work as a professor, he chaired close to 100 dissertations. He is the author of numerous professional books, several of which have been published by Corwin.